Just regular folks. : Luggage, bubble tea, graveyard party. We used to own two pieces of rolling luggage, one from Land's End and one from LL Bean. The Land's End one broke down the last trip we took (the zipper pulled out of its track) and so I told Jeremy to go spend some time and buy a new one. 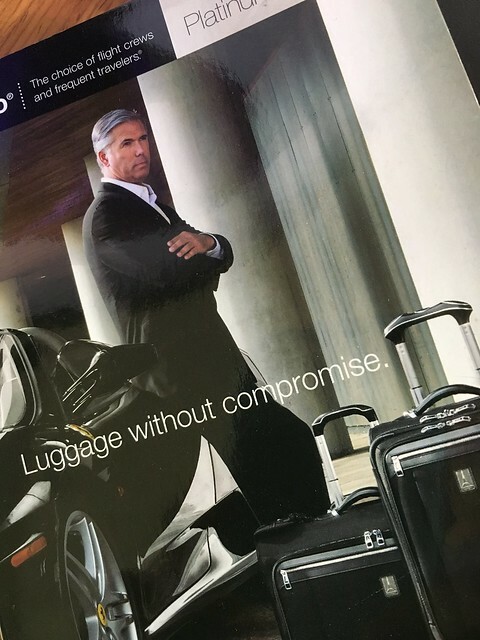 I suggested the hip Away luggage (suggested by Lifehacker), but he picked TravelPro, the ones flight attendants use. 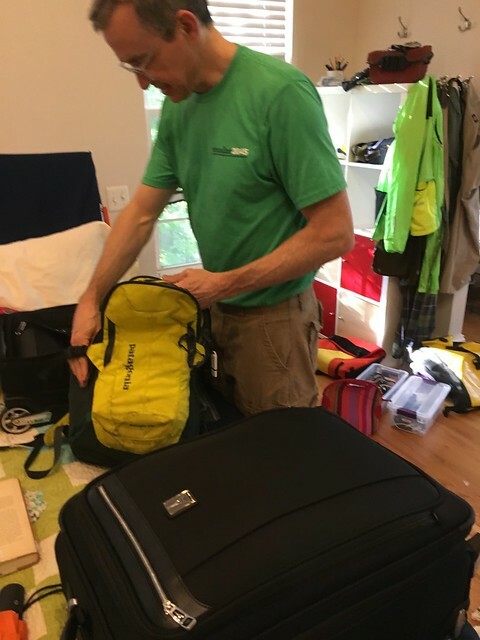 While he was packing this morning, he was using the LLBean one and getting all frustrated that all his stuff wouldn't fit into the rolling suitcase and I asked - you aren't going to use the new one? So he pulled the new one out (dorky as it is) and managed to stuff all of his gear into the the TravelPro one (there is extensive compression strapping going on in there). He is not a light packer. Of course he would fit all his stuff into this new rolling bag because he looks exactly like the guy on the attached tag. We don't compromise on anything here in the Lee-Martin household. It's only the best in here. I asked if he needed a ride to the Metro - given that that carry on bag must weigh at least 40 pounds. 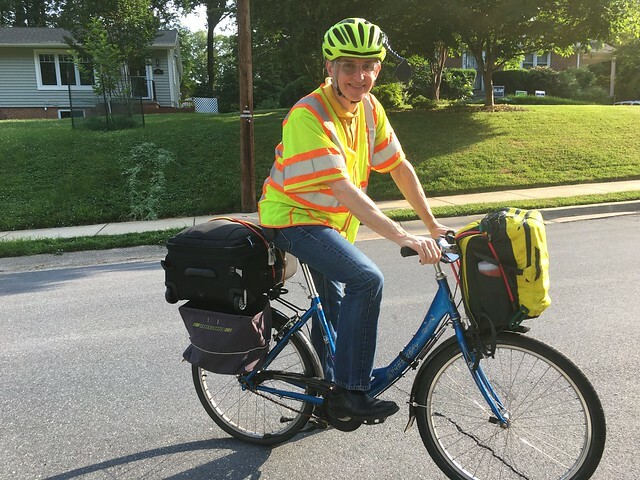 He said - it's the last day of bike-to-work month, I gotta at least try to bike to the metro. So I watched him bungee cord his luggage to his commuter bike and didn't hear from him again. I guess he made it to work. I went to see Vickey today in Fairfax. This was the day we decided to see On Chesil Beach the movie before it exited the theaters. 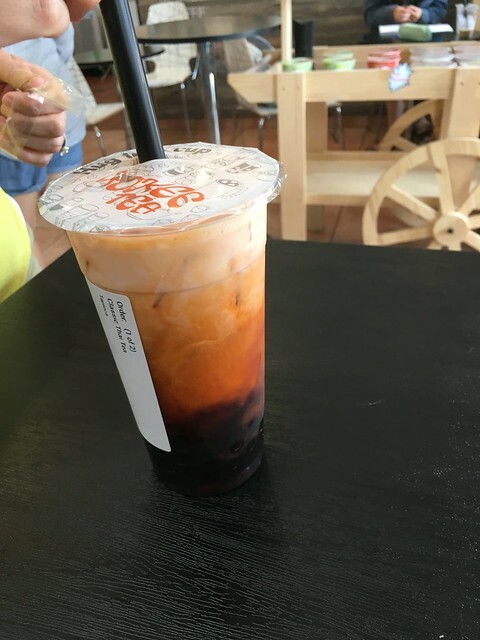 It was a delightful afternoon which started with lunch and ended with bubble tea and ice cream. I came home and then picked up Edda from aftercare. 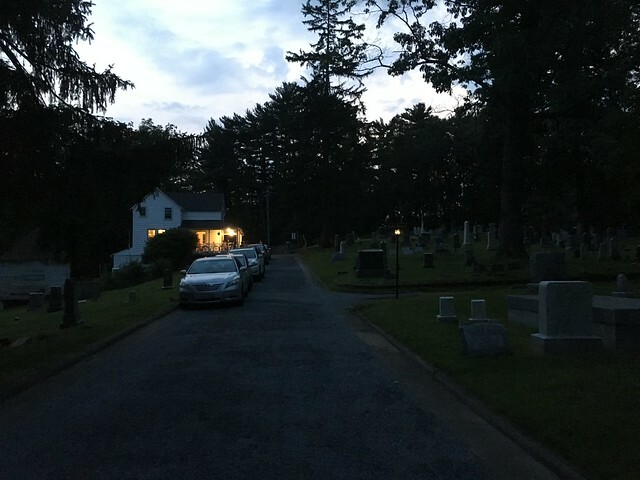 I fed her some dinner and tucked her into bed and ducked out of the house for about an hour (asking Vince to "watch" over Edda basically meaning if the house caught on fire, please haul her out of the house) to go to a housewarming party at the Rockville cemetery. I recently ran into some nursing friends at the climbing gym and they are renting the caretakers house at the cemetery. 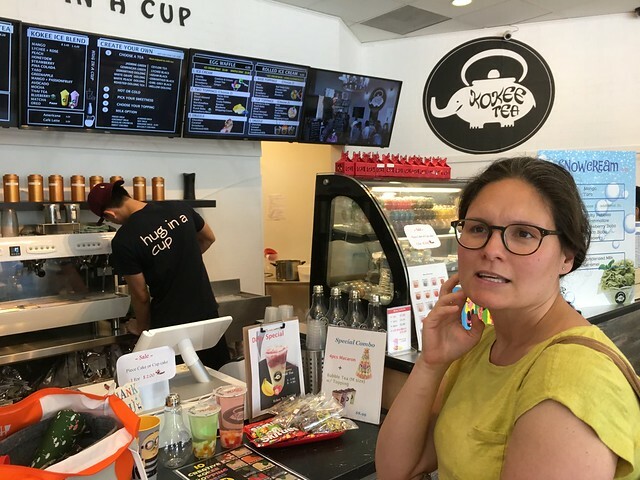 I couldn't resist going and seeing them and checking the place out. Lots of climbers at the party, talking about crimp strength.